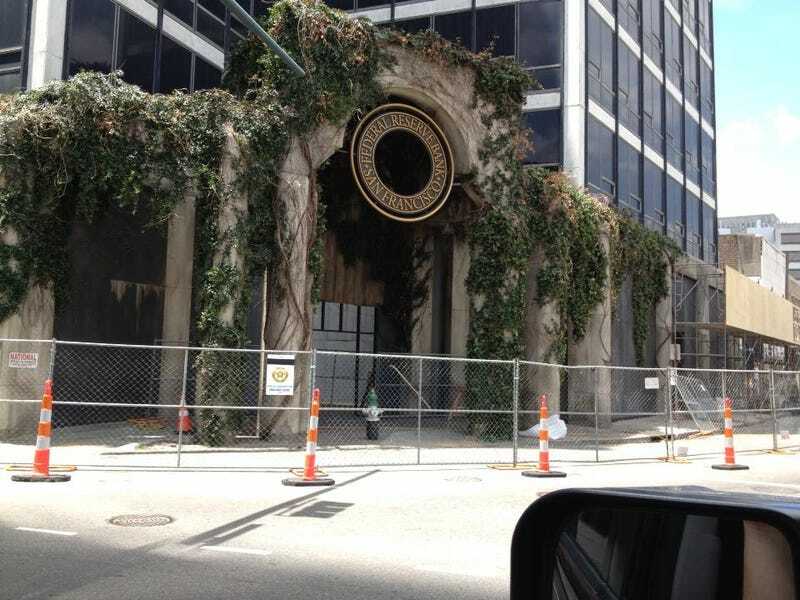 A friend drove by one of the mostly completed set pieces for Dawn of the Planet of the Apes today. I saw them doing this building the other day but could not for the life of me figure out what was going on and didn't realize it was a set piece. Only the pillars were up and they seemed to be made of ply wood.